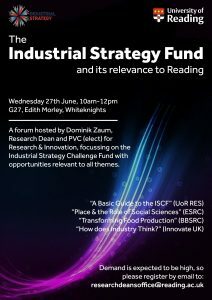 Staff are invited to attend a forum on the Industrial Strategy Challenge Fund (ISCF) on Whiteknights Campus on Weds 27 June. The ISCF offers significant funding opportunities to academia with relevance to all themes. Speakers include representatives from BBSRC, ESRC and Innovate UK and staff will have the opportunity to talk and question funders directly. 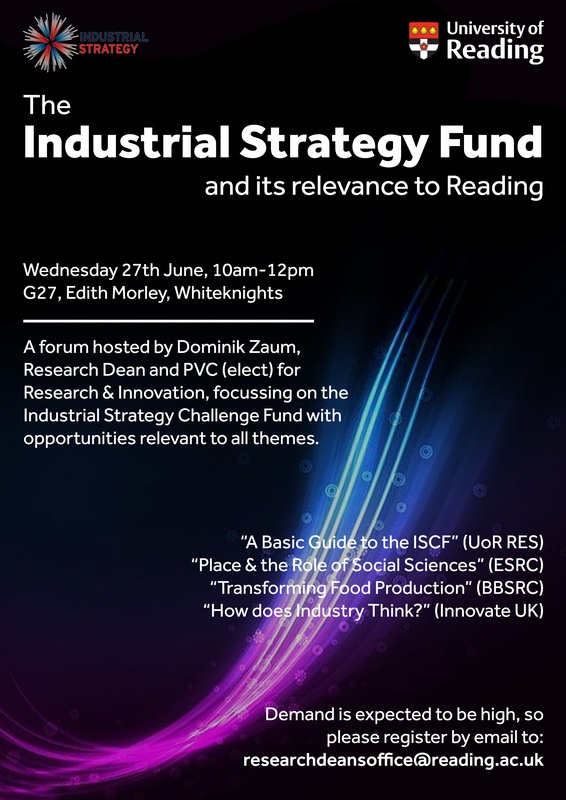 Demand is expected to be high and places will be given out on a first-come-first-served basis, so please do register your interest by simply emailing researchdeansoffice@reading.ac.uk as soon as possible.